It always amuses me to finally see what is considered a classic movie scene and see where it fits into a film. Everybody knows the classic scene in From Here to Eternity, whether you knew it was from that film or not. The scene shows two people at a beach rolling around as waves wash over them. It is a classic, often spoofed scene and though it is very well known, it has almost nothing to do with From Here to Eternity. Set in a military base in Hawaii, this film follows three different ranked soldiers. • Private Robert E. Lee Prewitt (Montgomery Clift)- a recent transfer to Hawaii, Prewitt was a champion boxer and the best bugler in his battalion. Upon realizing that he was a champion fighter, Captain Dana Holmes (Philip Ober) attempts to get Prewitt to fight for them. Unable to get back in the ring after accidentally blinding an opponent, Prewitt refuses the offer. Upset by his refusal, Holmes enlists the help of other boxers and his own right hand man, Seargant Milton Warden (Burt Lancaster) to pressure Prewitt to fight. For months Prewitt is worked to the bone, given terrible jobs and forced to work more than the rest. The extra work and even the threats from the other soldiers could not get Prewitt to change his position. Eventually and begrudgingly, Warden develops a hard to see soft spot for Prewitt and allows him to go off base a number of times. Going with his friend Private Angelo Maggio (Frank Sinatra), Prewitt eventually meets Alma ‘Lorene’ Burke (Donna Reed) at a Gentleman’s Club and falls in love. The film chronicles Prewitt’s time in the army while he sticks by his principles and looks at his growing relationship. • Sergeant Milton Warden: Sergeant Warden is a hardworking, extremely underappreciated man. Warden is overworked, doing his job and most of the work his superior, Captain Holmes, should be doing. At first Warden enjoys this because he gets to pull most of the strings but eventually the lack of appreciation and recognition begins to get to him. Warden falls in love with and begins an affair with Holmes’ wife, Karen Holmes (Deborah Kerr). In fact it is the two of them that are in the classic scene I mentioned earlier. Trapped in a marriage with no love, Karen is desperate to get out of it but can’t. Warden is a very interesting character. Though he has been put in an unfair position, he is fiercely loyal to his rank, his superiors and his nation. • Private Angelo Maggio- One of Prewitt’s good friends, Angelo is not necessarily a main character in the film but I think he needs to be mentioned. A usually lighthearted, joking man, it becomes clear throughout the film that he struggles with a drinking problem. One night while on the town, Angelo creates a problem with the brutal and violent Sergeant Fatso Judson (Ernest Borgnine). Fatso promises that the conflict will cause future repercussions for Angelo if he is every court marshaled. A stupid decision causes that exact thing to happen, leaving Angelo at the mercy of Fatso. This film has a lot of components to it, looking at love, loyalty and parts of the military in general. Though the majority of the film is set on a military base, there is little action expect for the film’s tragic end. I really like the character development in this film. The characters motives and personalities are uncovered by the dialogue in a way that makes it seem quite natural. Each character had their merits and their problems and they all dealt with them in a similar manner: alcohol. We see every main character abuse alcohol and it brings each of them some form of misfortune. Some characters learn from their mistakes and benders while others do not. This film defeated Julius Caesar, the Robe, Roman Holiday and Shane for the 1954 Oscar Best Picture. I didn’t find the plot of this film to be mind-blowing but I certainly think the performances were strong enough to make this an Oscar Best Picture Winner. Frank Sinatra took home a Best Supporting Actor Oscar and Donna Reed took home a Best Supporting Actress. The film also earned Daniel Taradash a Best Writing Oscar and Fred Zinnemann a Best Director Oscar. It also won Best Sound Recording, Best Cinematography and Best Film Editing winning a whooping eight Oscars in total. Overall I give this film a 7 out of 10. Don’t judge a film based on its “classic” scene because sometimes, they really have nothing to do with the rest of the film. I went further back in time than I have before for this particular Oscar winner, all the way back to 1948 in fact. The film that won the Best Picture in 1948 was called Gentlemen’s Agreement. To be quite honest, I didn’t like this film very much. I thought it was heavy handed and boring. I appreciate the skill that went into the film but I think I had a hard time connecting with the true meaning of the film because it was made over sixty years ago. Gentleman’s Agreement takes a heavy handed look at Anti-Semitism in the 1940’s. The film’s main character, Philip Schuyler Green (Gregory Peck), is recently widowed journalist. Recently moving to New York City with his son Tommy (Dean Stockwell) and his mother (Anne Revere), Philip is given an assignment by a well-known magazine. Asked to write a piece of anti-Semitism, it takes Philip a while to find a way to feel enthusiastic about the piece. 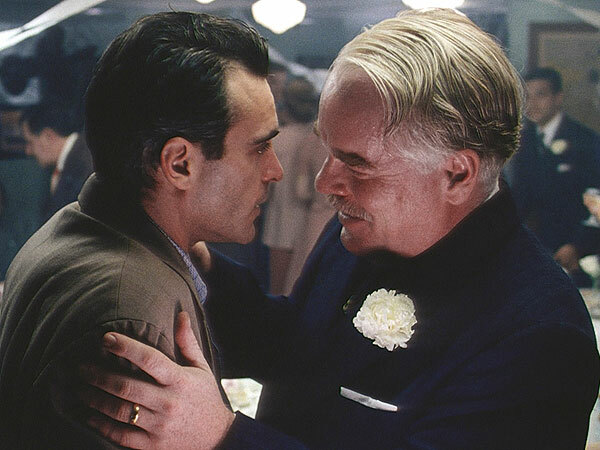 Realizing he can only approach the situation as a gentile, Philip decides to walk a mile in a Jewish man’s shoes and decides to pretend to be Jewish. Telling nobody the truth but his mother, his son and his girlfriend (soon to be fiancé), Kathy Lacey (Dorothy McGuire), Philip feels the full effect of the pain anti-Semitism can cause. Philip attacks the assignment head on, not wavering for a moment when the discrimination affects his job, his family and his pride or even when it threatens his relationship. In the end, Philip finishes up his assignment, reveals the truth about himself and writes his story, unveiling the extent anti-Semitism exists in the world. With famous director Elia Kazan behind the camera, this is a well-shot film with a story that flowed. Though I thought that the film’s point was entirely too heavy-handed, it is very likely that I get that impression form the film because I am watching six and a half decades after it was originally released. The performances in the film were solid, earning the film a number of different nominations. Gregory Peck was nominated for best actor and Dorothy McGuire earned a nomination for best actress. Anne Revere was nominated for best supporting actress but Celeste Holm took the win for that award. Celeste played Anne Dettrey, the fashion editor for the magazine who eventually becomes one of Philip’s good friends. Another actor who gave a great performance but did not earn a nomination was John Garfield who played Dave Goldman, one of Philip’s friends from growing up who was Jewish. Kazan himself earned the best directing award for the film and of course, the film won best picture. Gentleman’s Agreement went up against four films, Crossfire, the Bishop’s Wife, Great Expectations and the well-known Miracle on 34th Street. I have not seen any of these other films, other than Miracle on 34th Street, so I cannot voice an opinion as to if the film should have won best picture. I can say that the acting and directing in the film were skillful enough to let me understand how it could be a winning film. As I did with the English Patient, I am going to split up my rating into two categories. I give the film a 1 out 5 for being a film that entertained me. As far as it being a “good” film, a film with good shots and performances, I give the film a 4 out of 5, which gives it a 5 out of 10 overall. Though it is heavy handed, the film delivers a valid point, utilized the skills of some very talented actors and actresses as well as one very talented director. For the purpose of this article I am going to need to explain one of my cinematic beliefs. If I say that I like a movie, that doesn’t necessarily mean that it is a good movie. When I say that a movie is good, it doesn’t necessarily mean that I like the movie. What makes a film good are the components of it, the acting perfromances, the shot composition and the directing. A film can be very skillfully directed and I still may not like it. That doesn’t make it a bad movie, it just means I didn’t like it. This concept becomes ever so important during the context of this review because recently I watched the 1996 Oscar Best Picture winner The English Patient and, though I thought it was a good movie, I did not like it. 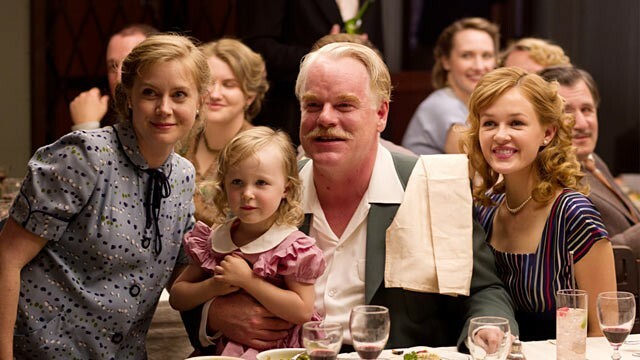 The film follows a flashback structure, bouncing back and forth from before and after WWII. The film opens by introducing us to an army nurse, Hana (Juliette Binoche), who is convinced that everybody she falls in love with will die. Working for a hospital unit that is forced to go mobile, Hana is taking care of a severe burn victim, Count Laszlo de Almasy (Ralph Fiennes). When the movement of the truck becomes too much for the dying man to bear, Hana volunteers to stay with and care for the man in an abandoned estate until he eventually passes onto the next life. As Hana cares for Laszlo, he tells her his story and the plot follows two timelines: the present and the past. Though the film follows two different story lines, it focuses on one main theme: love. Laszlo’s past consists a dramatic love affair that started with an expedition to create a number of different maps. The expedition consists of a number of different people, most notably Laszlo, Geoffrey Clifton (Colin Firth) and his wife Katharine Clifton (Kristin Scott Thomas). When Geoffrey is forced to leave, Katharine and Laszlo begin a painfully passionate affair. As the two fall in love with one another while dealing with Katharine’s marriage, the affair escalates and ultimately ends in tragedy. As Laszlo’s story is revealed, Hana begins a love story of her own. As WWII comes to an end, bomb squads travel the countryside, searching for bombs and mines that have not yet been disarmed. When a minefield is found close to where Hana and Laszlo are staying, a bomb squad asks to use the same building as shelter. Hana agrees and eventually falls in love with a member of the squad, a man named Kip (Naveen Andrews). Hana, a woman who already believes that everybody she loves is cursed to die, has to try and deal with forming a relationship with a man who puts his life on the line everyday. The acting in this film is truly outstanding. Ralph gives brilliant performances when playing both versions of his characters, the maimed burned victim and the heartbroken young man. Colin Firth lives up to the standards he created for himself, gracing the screen with the charm he is known for and a rare stint of jealousy. Making her character timid and strong at the same time, Juliette Binoche earned herself a Best Supporting Actress win for her performance. Kristin Scott Thomas gave a performance that would have made any female archeologist happy, excluding the affair of course, and earned her a nomination for Best Supporting Actress. Independent, strong and sure of her talents, Thomas’ character is the only female in a world dominated by men but the men seem more uncomfortable with her than she was with them. The English Patient won the Best Picture Oscar in 1996, beating a number of great films. Going up against Shine, Jerry Maguire, the Coen Brothers’ Fargo as well as Secrets and Lies, I am somewhat surprised the English Patient came out victorious. Personally I would have given the win to Fargo but I am a little bias towards the Coen Brothers. Though I like Fargo better, I can still see the skill that went into this film and why it was chosen as the best film of 1996. Overall I give this film a 5 out of 10. This rating seems low but keep in mind my argument at the start of this blog. If I split the points between it being a good movie and a movie I like I would say it gets a 5 out of 5 for being a good film and a 0 out of 5 for being a film I like hence, 5 out of 10. 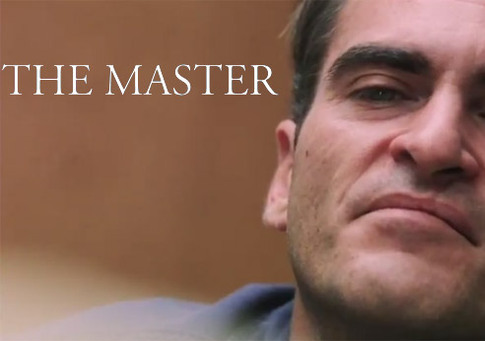 This marks the first of a series of posts based on this year’s (2012) Oscar nominations. My goal, within the next eighteen days, is to write a post about every nominee in the Best Director, Best Actor, Best Actress, Best Supporting Actress, Best Supporting Actor and the Best Film categories. I still have some movies from the list to see (thank you On Demand) and a lot of posts write but I’m going to try and reach my goal. Some of my posts will talk about multiple nominees while some will get a post of their own. This year, Melissa McCarthy earned herself an Oscar nomination for Best Supporting Actress in the film Bridesmaids. Of all the nominees, this is the one I have heard the most complaints about. I have heard it said that the woman from Bridesmaids has no business going up against nominees from Albert Nobbs, The Artist or the Help. How can a woman who uses a sink as a toilet in her role be nominated? She can because she deserves it. Do I think Melissa McCarthy will win the Oscar? No. Do I think Melissa McCarthy should win the Oscar? No. Do I think she deserves to be nominated? She most certainly does. It takes a lot of skill and talent to properly and perfectly deliver a comedic role. 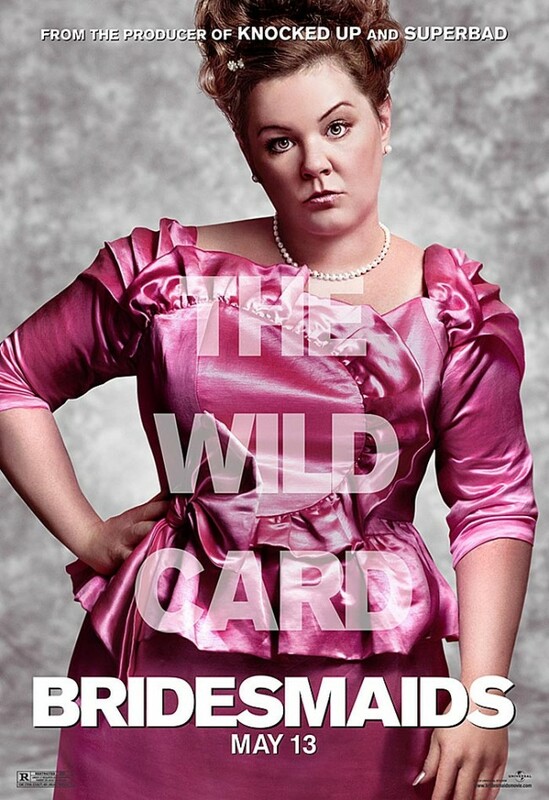 In Bridesmaids, Melissa McCarthy does just that. She throws herself into the role of Megan so fiercely that I still have trouble imagining her playing any other role. Despite the belief of those who haven’t seen it, Bridesmaids is much more than just far and puke jokes. Not only is the film quite witty, the characters also show a good amount of depth. Melissa McCarthy is no exception on either account. In any other comedy movie with any other case, McCarthy would have completely stolen the show. Surrounded by a powerhouse cast of comedic women, including Kristen Wiig and Maya Rudolph, McCarthy is the best of an all star case. Every moment she is on screen, McCarthy delivers lines with expert timing, giving Megan enough insanity to be hilarious but enough heart to be real. Even in her few serious scenes, McCarthy works in enough humor to keep the audience constantly laughing. There is no doubt in my mind that McCarthy deserves the nomination she has earned. Sadly, I do not thing she will win nor do I want her to win. As of this point in time, my vote goes to Octavia Davis but that could change as I see more of the nominated performances. I thought McCarthy did an amazing job in Bridesmaid. She is quickly becoming one of my favorite actresses but I don’t’ think the roll was enough to beat out her competition and bring home the Oscar.